John Hopkins Institute of Cell Engineering has published research indicating a specific protein may act as cellular “trigger” for Parkinson’s Disease. 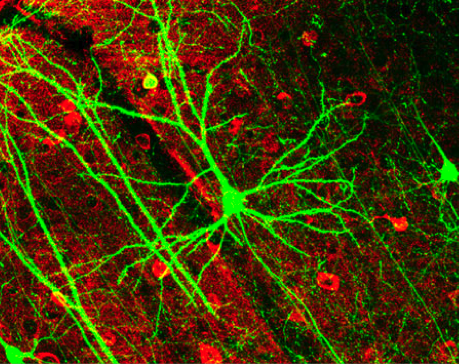 The protein, named s15, causes a common type of Parkinson’s in human and fruit fly neurons. It only becomes pathological when it gains a phosphate from a mutated enzyme called LRRK2 (or leucine-rich repeating kinase 2). Mutations in LRRK2 have been frequently observed in patients with Parkinson but until now the enzyme’s target was unknown. Once LRRK2 deposits a phosphate on protein s15, it is activated and then causes the neurodegeneration seen in Parkinson’s through “loss of translational control”(per the Cell article abstract). That is, neurons lose hold of the ability to properly translate genetic information into accurately folded proteins. Hence the misfolded protein aggregates or Lewy bodies that kill neurons in Parkinson’s patient substantia nigra. A New Home Away from Home?